One of Apple's first party apps that's getting a makeover in iOS 10 and macOS Sierra is Photos, bringing intensive new facial recognition and "Siri intelligence" features to the picture accumulating app. 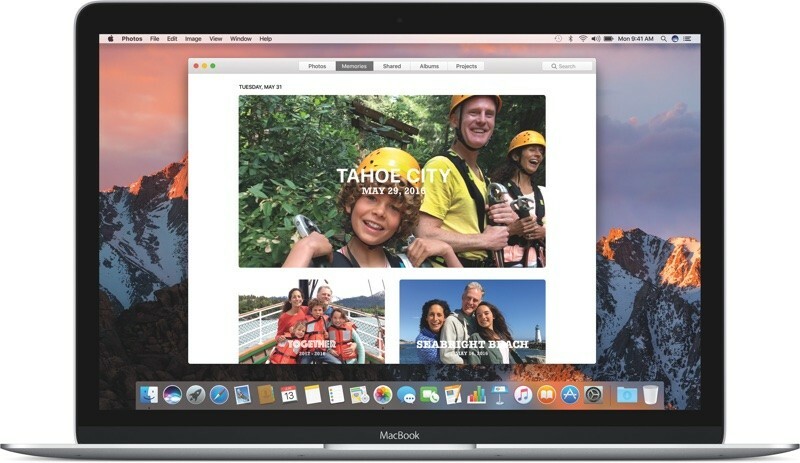 Over the weekend, a Reddit user discovered a few lines of code within the framework of Apple's beta of the macOS Sierra Photos app, possibly detailing both the specific facial expressions that the app recognizes and every single searchable object users can find in both Sierra and iOS 10. In a more detailed Medium post, Redditor vista980622 explained that Photos will be able to "recognize and distinguish" 7 total facial expressions after the app scans a user's library and forms a "faceprint" for each individual in a picture. The expressions include greedy, disgust, neutral, scream, smiling, surprise, and suspicious. One of the biggest new additions to Photos in iOS 10 and Sierra is "Memories," a new tab that aggregates a user's pictures into logical, organized folders based on the app's new facial and object recognition abilities. vista980622 discovered every category of Memories as well, whose names are said to be "automatically generated using metadata from the photos and tags from analysis of photos." Users who have been testing the first beta of iOS 10 last week mentioned the impressive search parameters of Photos, which intelligently detects and tags every picture for the scenes, objects, and landmarks captured within. In totality, there are 432 of these items that can be searched for by the user, including everyday phrases like "Apartment" and "Birthday Cake," and somewhat obscure inquiries like "Diadem" and "Gastropod." The full list of 432 searchable objects and scenes can be found in the Medium post shared on Reddit. As discovered within the first beta of iOS 10 and macOS Sierra, the comprehensive list is far from confirmed as accurate. All the same, many of its terms do match up with another Redditor's successfully executed searches, as well as the words they claimed failed to generate any concrete results. Update: The list of searchable scenes and objects appears to account for around 4,432 items, as opposed to the 432 mentioned in this article and the original Medium post. It's unclear whether vista980622 made a typo in the blog post, or if groups of scenes and items -- like Art, Artistic Creation, Artistic Creations, Artistries, Artistry, Arts, Artwork, Artworks -- were grouped together to result in a smaller number. Update 2: The author of the Medium post has acknowledged that the originally quoted 432 scenes and objects was a typo and the correct number should indeed be 4,432. The expressions include greedy, disgust, neutral, scream, smiling, surprise, and suspicious. -Tim Cook: "Siri, show me pictures where I look greedy"
-Siri: "Ok, here is a picture of you giving the thumbs up on 16gb base iPhone storage and 5400 RPM hard drives"
7 total facial expressions after the app scans a user's library and forms a "faceprint" for each individual in a picture. The expressions include greedy, disgust, neutral, scream, smiling, surprise, and suspicious. It hasn't been confirmed yet, but they are believed to be distant cousins of Bashful, Doc, Dopey, Grumpy, Happy, Sleepy and Sneezy. Software engineers at Cupertino are also rumoured to be working on adding magic mirrors to the list of objects that the Photos App can detect so users can sort faces into a list by the 'fairest of them all' category, but have strongly denied there is any such thing as a 'poisoned apple' to recognise, despite some early reports images of such an item had involuntarily put some users' computers to sleep. Most frequently identified expression? The duck face. Hopefully, Apple won't make the same mistake by Google that tagged African Americans as gorillas. This is a disgusting invasion of my privacy, I can't even take a picture with out Google spying on me...oh wait it's Apple...never mind it's magical and a brilliant innovation. Guess who didn't watch the keynote. I highly doubt that Apple does it locally, if anything that wouldn't be very practical to update the engine to keep improving the recognition speed and accuracy. It's done in the cloud, just like Google. Disconnect your iOS device or Mac from Wi-Fi and any cellular connection. Drag a photo into Photos app/take a fresh photo. Analysis performed instataneously. No reliance on cloud servers. The learning and modelling of objects and scenes are already done, and your computer has all the code/resources to perform the analysis. Apple first introduced their 64-bit processor in 2013. I wonder if they had implemented this with these features in mind. That would have been really forward-thinking of them. iPhoto had face recognition back in 2009... You can't just remove features and add them back whilst labelling it as innovation. This is the only reference of face recognition I see on the page for macOS Sierra. All they're saying is that it's better. What's wrong with that? You’ve spent years capturing moments worth remembering. Now Photos can turn them into unforgettable experiences called Memories. And powerful new technologies make Photos even better at face recognition, let you display all your photos on a world map, and even allow you to search your photos by the objects and scenery in them. Apple engineers tried to use Kristen Stewart to train it. But then agreed that the machine cannot surpass the Men that made it. And such task deemed impossible, and went to work on more Apple Watch bands instead.